Selling Gold can be one of the quickest ways of making some extra cash. But getting best price for selling gold jewelry can be very tedious and frustrating. Although Gold has been around for centuries, these precious stones seem to keep rising in value and offering some quick cash for gold dealers who want to sell – at a profitable price. But the thing is… How do you make extra cash from this profitable product? Or better still, how do you get extra money when you need them most by selling gold at the trending market price, maximizing profit at the same time. Make sure you always check Gold Selling Price today before you go to make any decision, Read more about live price for your valuable jewelry. Unlike other assets which are largely affected by the stock market, gold offers some form of protection as the stock market has little or no effect on the value of gold. Selling Gold Jewelry to authorize Gold buyer/Dealer. You are always wondering, how you would will get perfect and maximize price of your valuable gold jewelry. Remember always buy or sell gold from The Royal Canadian Mint authorize dealership. The Royal Canadian Mint is a Crown corporation of Canada, operating under the Royal Canadian Mint Act. The shares of the Mint are held in trust for the Crown in right of Canada. To learn more about Royal Canadian Mint, you can go to https://www.mint.ca or you can Click Here. Tips To Help You Get the Best Price For Selling Gold Necklace. Before selling your gold at a profitable price, you’ve got to consider the prevailing market condition. These conditions greatly affect the gold price and maximizing the current market condition to your advantage can make the difference between gaining or losing in the fierce competition associated with the gold market. When the market conditions are favorable, you’ve got to know the worth of your gold. Knowing the value of your gold will help you evaluate the offers, and filter out good offers from the bad ones. The value of gold is determined by its karat. In-depth understanding of the karat is crucial to making the right choice at the point of sale. Pure gold is determined by the division of the karat number by 24. And to get an estimated value for your pure gold, you’ve got to multiply the weight by the market price. Although the online prices may vary, a realistic price of your gold can be attained by the reduction of the market gold exchange price by 20% to 40%. 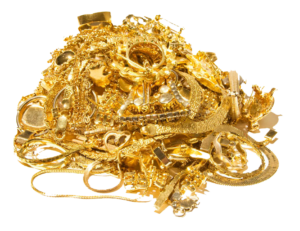 It’s important to note that this value is recommended for sellers who want to sell their precious metals as gold scraps, and the price vary greatly amongst buyers. Careful study of your gold may reveal some unique gold items that can be sold as antique. 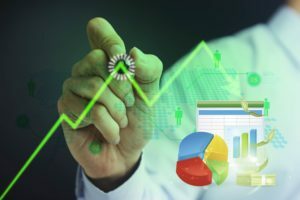 These items may be of great value, thereby raising your profit margin in the market space. Whether you want to sell your precious stones to Gold Companies or you simply what to sell it to pawnbrokers, online gold dealers, and street jewellers, careful consideration of the dealer is essential. During the gold rush, eager sellers can be easily scammed. Proper vetting of the potential buyer is done so as not to sell your precious metals at undervalued prices. At the point of sale, some buyers prefer making cash payments while others may want to have a barter deal. Cash payers make direct payment transactions (currency exchange) for the gold while barter dealers may offer you store credits or simply let you purchase a piece of jewelry in exchange for your gold. In some cases, the barter deal may be of greater value than the cash payment. In some cases, gold dealers won’t offer good deals. Diversifying your sale outlets boost your chances of getting a good deal, ultimately increasing your chances of making huge profits. Aside from gold dealers, you can get good deals from other precious metal dealers like gemstone traders, and diamond dealers. These precious stone dealers can have more valuable offers for you. Scale accuracy is regularly validated by the department of weight and measures. In some cases, especially when the gold is being sold to house party buyers, the scale may not be a true measure of the gold weight. Sometimes buyers may choose to minimize cost by simply taking measurements with the pennyweight system and making payments in grams. In such cases, the buyer gets to gain more gold value for a little price while the seller tends to lose by huge margins. Careful consideration of the fine prints is needed when buyers choose to make use of mail-away service or when an online gold buying site is used. In cases like this, you’re advised to take careful notes of the terms and conditions. Find out the reimbursement policy, the conditions attached when an offer is turned down, and various other fine details that may mitigate your chances of success in the gold selling business. All genuine gold buyers should be licensed by the state. You should be on alert when a potential buyer can not show legal credentials. On the other hand, you’re required to show any government-issued identification like driver’s license or passport. These policies are designed to help you get the best deals in the market space. What Next? Sell Your Gold For the Best Price. For centuries, gold has been used as a measure of wealth. And individuals seeking to gain economy safety during financial crises can utilise these wonder precious stones. The only conditions better than gold possession is selling these wonderful items at the best price. And to do this, you’ve got to follow precise steps which are outlined above. Remember, the key factor that will make you profitable in the gold selling business is by strategically placing your gold jewellery at the best price.